The Boston Impact Initiative Fund has a unique role in the field of impact investing. 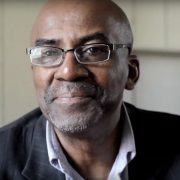 Our fund is focused on economic justice, which means that we invest in opportunity for all people—especially those most oppressed or abandoned by our current economic system—to lead a dignified and productive life. Tim Hall is one of the worker-owners at CERO, a commercial composting cooperative that recycles organic waste and provides green jobs in Boston’s low income communities. 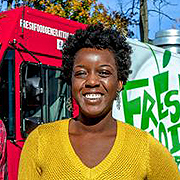 Cassandria Campbell is co-founder of Fresh Food Generation, a cafe, food truck and catering business that sources local ingredients and prepares Latin American and Caribbean-inspired meals. 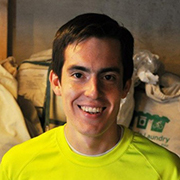 Gabriel Mandujano founded Wash Cycle Laundry, a commercial laundry service that provides second-chance employment for vulnerable adults in Boston, Philadelphia and Washington DC. We believe that we can best support the creation of resilient local economies by using a range of integrated capital tools: loans, credit enhancements, equity investments, royalty finance, direct public offerings, crowdfunding, grants and more. By using this “whole portfolio” approach, the Boston Impact Initiative is able to choose the best capital instrument for the age and stage of each organization we invest in. 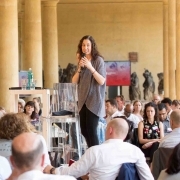 The Impact Capital Lab offers advisory support to help individual and institutional investors direct a portion of their portfolios toward place-based impact investing. 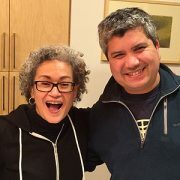 BII Fund leverages our learning in Boston to help other communities develop place-based integrated capital funds focused on closing the racial wealth divide. 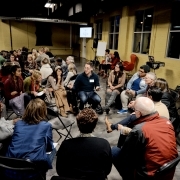 The Solidarity Economy Initiative is an incubator for grassroots community organizations working to advance economic justice by engaging in entrepreneurship. We invest in enterprises throughout Eastern Massachusetts that address the growing wealth gap and ecological challenges of our times. Why do we do this? Because we believe there won’t be any change in the fundamental conditions that contribute to persistent poverty and injustice until and unless we create the opportunity for people to own and control their future.